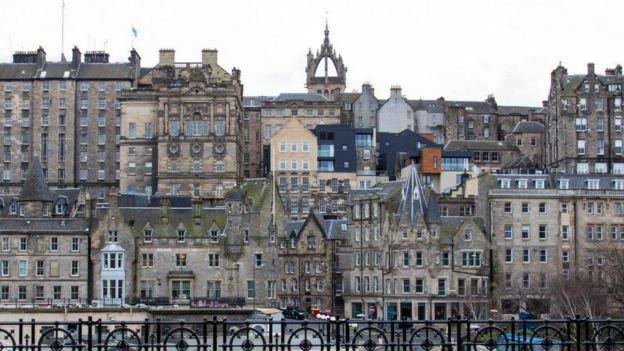 A historic area of Edinburgh's Old Town, which was restored following decades of neglect, has been named best development in Britain. Advocate's Close won national Project of the Year at the Royal Institution of Chartered Surveyors (RICS) awards. It was created by Thomas and Adamson surveyors and Morgan McDonnell Architecture Ltd.
David Tuffin, chairman of the RICS judging panel, said: "Careful conservation, coupled with sensitive interventions and a clever use of new material and finishes, has produced an imaginative mixed use scheme. "It includes a new hotel, 50 serviced apartments with views over the city, offices, restaurants, cafés and bars combining to produce a commercially sustainable and elegant addition to the Old Town. "An exceptional regeneration, Advocate's Close is a very worthy winner of the 2015 RICS Awards - Project of the Year." Lynn Robinson, regional director at RICS, said: "The Advocate's Close development is a shining example of how a once neglected part of a city can be truly transformed for the better of the surrounding community. "Not only has this part of the city been restored in relation to its historic buildings and architecture, it's been brought right up-to-date with contemporary additions. "The RICS Awards provides a real showcase of the skills and expertise of those professionals working across all sectors of the built environment. "Once again, the standard set by the shortlisted projects was extremely high; each one representing a shining example of how property professionals with a passion for inspirational schemes, both large and small, can transform the lives of not only individuals, but whole communities and the environment at large." A full list of winners from around the UK can be found here.